See more Lele Sadoughi Earrings. We check over 450 stores daily and we last saw this product for $65 at Orchard Mile. 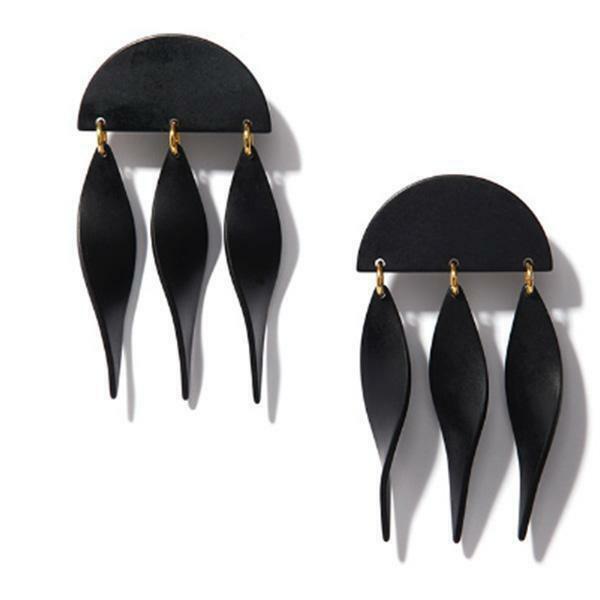 Geometric and feminine, these matte black acetate chandelier earrings twist dangle like growing ivy. The post is made from a 1 1/2" diameter semi circle with 14k gold plated clip-on back closure. 3" drop.